Lets be honest. Meatloaf is one of the most un-photogenic foods ever! Meatloaf is one of my favorite meals! Coming from a former vegetarian that says a lot! 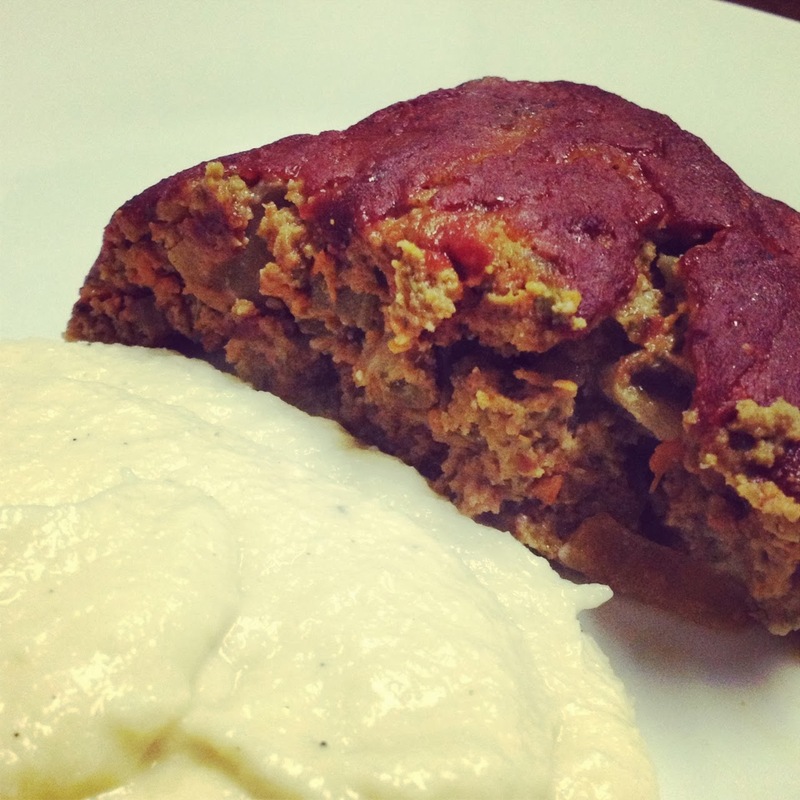 I posted my old recipe for meatloaf on this blog a few years ago. This is my updated recipe that is both Paleo and Whole30 approved! I combined my old recipe with Eating for Idiots Meatloaf Recipe and came out with a winner! Add onions and celery to the pot. Cook until onions are softened and beginning to caramelize. Add a splash of balsamic vinegar to de-glaze the pan. Add minced mushrooms to the pan and cook 3-5 more minutes. Combine remaining meatloaf ingredients in a bowl. Add onion, celery, mushroom mixture to the meat mixture. Add half of the ketchup to the meat mixture. Let cool 5-10 minutes before cutting and serving. I love meatloaf! Having to go gf, I used oatmeal for the binder, I never thought to use coconut flour!